If you only have 1 day in Budapest, you’ll want to see a bit of both Buda and Pest, and this tour lets you do both. You’ll start off with a cultural and historic tour of Pest, then you’ll cross Chain Bridge (an attraction in itself) for a brief tour of the Castle District in Buda, where you can enjoy a meal and a stop in a pub. Budapest is a city where wide boulevards intersect with some really narrow streets. It is a reminder that it was once part of the Austro-Hungarian empire. Wide boulevards were especially well suited for accommodating the carriages of royals and others of wealth. This is definitely a city to be walked, so start in the center, wander the grand boulevards, and admire the architecture. Make sure you look up. So many interesting features on buildings are not at eye level. As you wander through the area, remind yourself of two facts: unlike Prague, much of Budapest was bombed during World War II; and the Communist regime only ended in 1989. In a relatively short time, the city has made tremendous strides, although it still has far to go. Many historic buildings have been torn down to be replaced with modern conveniences such as boutiques, apartment complexes, or restaurants. Others have been renovated to their former glory, but in my opinion, certainly not enough. History is being replaced by sterility of the new and modern. 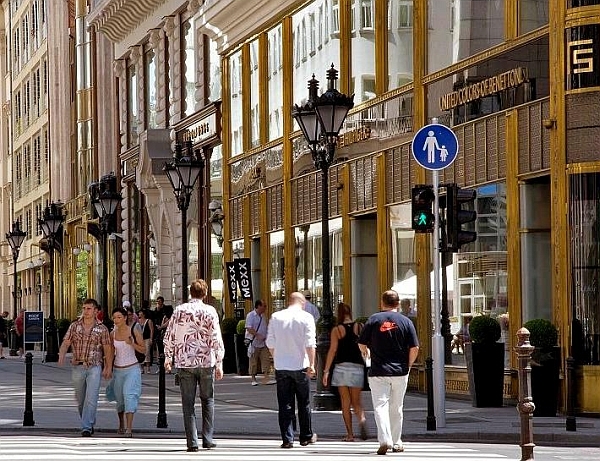 Váci utca is the perennially favorite shopping and walking street of Budapest. Developed after the regime changes in 1989, it has blossomed with many international stores and some Hungarian ones as well. For examples of Hungarian crafts, visit the Vali Folklór folk craft shop, the VAM Design Gallery, at Váci utca 64, and various clothing stores (avoid the touristy cafes here). 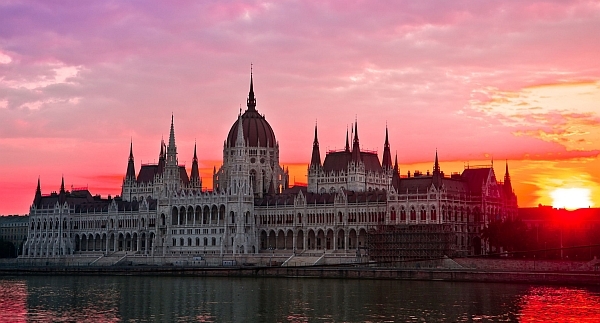 Budapest’s exquisite Parliament building is the second largest in Europe after England’s Westminster. The main facade faces the Danube. 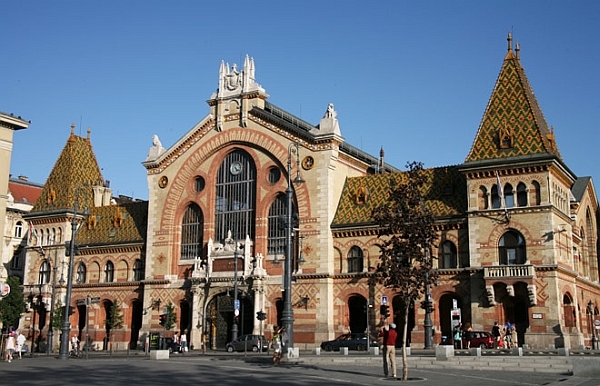 Designed by Imre Steindl and completed in 1902, the building mixes neo-Gothic style with a neo-Renaissance dome reaching 96m (315 ft), significant as the country’s millennium was 1896 and the conquest of the kingdom of Hungary was 896. St. Stephens is also 96m (315 ft) high for the same reasons. It is by far one of our favorite buildings in Budapest. At the top of a grandly ornamented staircase, there is a hexadecagonal (16-sided) central hall that leads to an impressive chamber. The fabled Hungarian crown jewels of St. Stephen are on display. Unfortunately, you can enter only on guided tours (the 45 minutes tour is worth the chance to go inside). This beautifully maintained park is the home of a large obelisk statue that commemorates when the Soviet Union liberated Hungary at the end of World War II. It is the last remaining memorial to the Soviet Union in the city. Known as the Széchenyi Bridge or the Chain Bridge, this bridge holds the distinction of being the first permanent crossing to link Buda and Pest. The idea for the bridge was instigated and funded by 19th-century Hungarian reformer, Count István Széchenyi. Legend has it that due to storms, he was not able to cross the river to be with his dying father. While Széchenyi waited 8 days for the storms to subside so he could cross the river, his father died and he missed the funeral. Designed by William Tierney Clark, an Englishman, the bridge was also one of the largest suspension bridges of its time when it opened in 1849. According to legend, the omission of sculpted tongues on the lions, which guard the bridge at either end, caused the sculptor to drown himself in the river out of shame; however, the lions do have tongues, just not visible from the ground. This is an interesting area for walking and wandering. There are many cobblestone streets, so choose your shoes carefully. 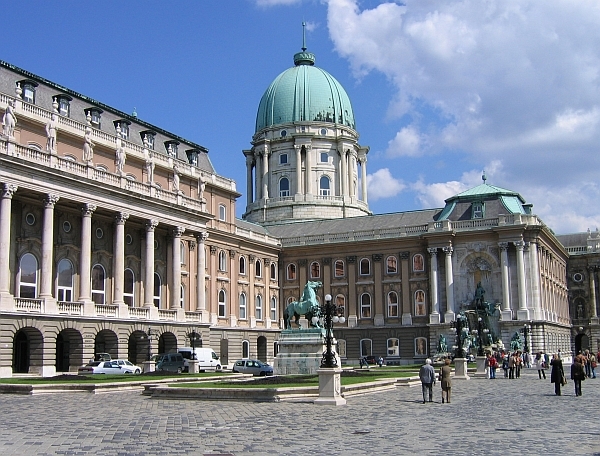 You might also wish to stop and visit the Hungarian National Gallery and the Budapest History Museum. Chain Bridge Széchenyi Bridge, or the Chain Bridge, is the oldest in the city.